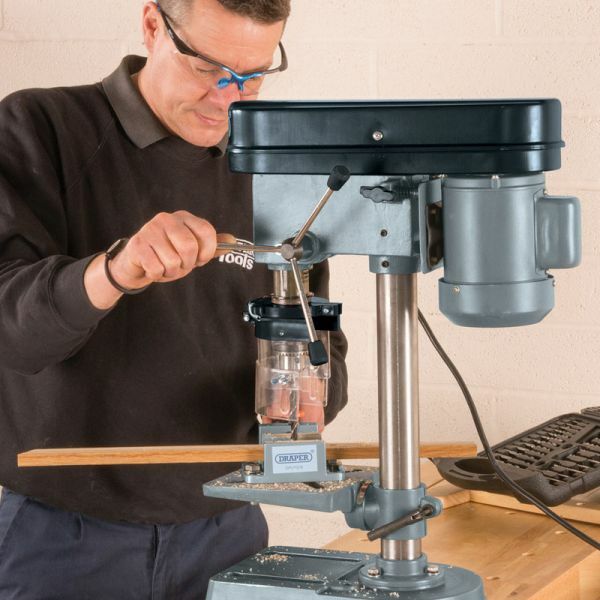 Drapers’ 5 speed Bench Drill with it’s five-speed pulley system and 350W motor supply provides a great bench drill for hobbyist’s. 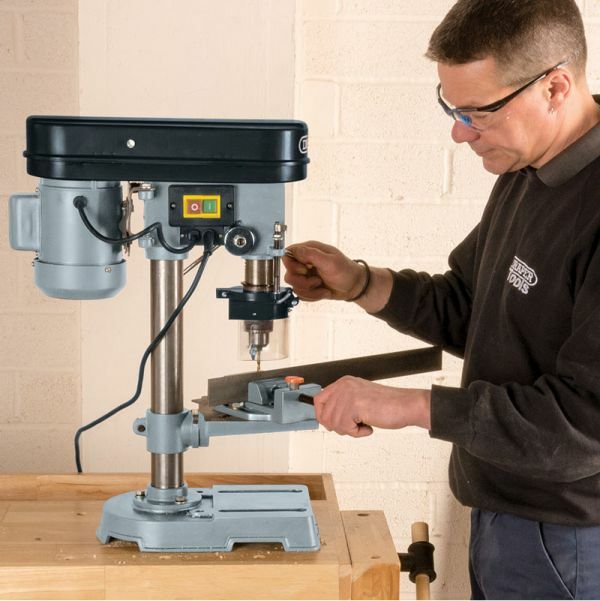 Each bench drill is manufactured with a steel pillar, heavy-duty motor, 13mm capacity chuck and a large heavyweight stabilising foot; all these features reinforce how well built the drill is. Fitted with a table height adjustment control. 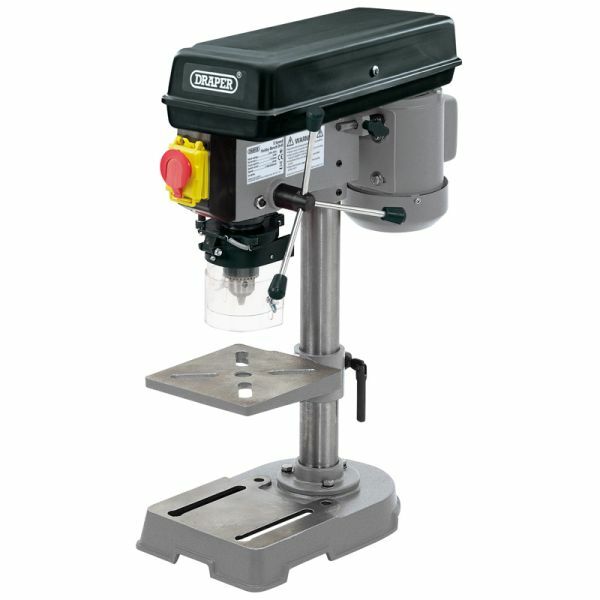 Supplied with a telescopic chuck guard and a front mounted NVR switch for added convenience and safety. 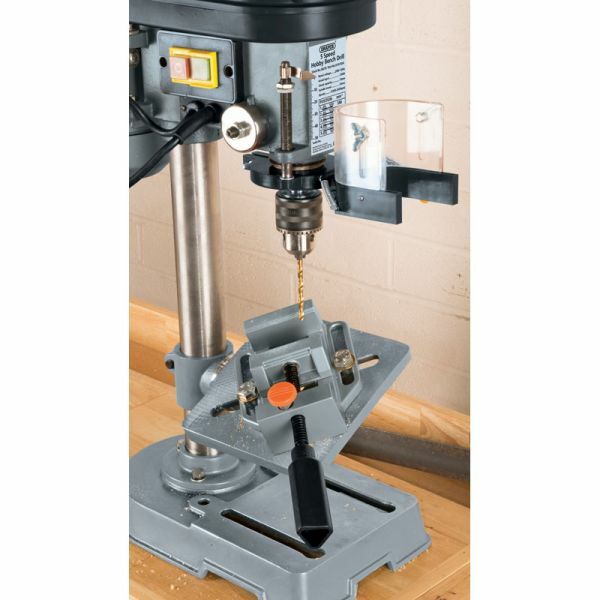 This entry was posted in DIY, DIY Featured and tagged 5 Speed Bench Drill, Bench Drill, draper.